The government has issued new tax regulations aimed at providing clarity for mining companies shifting their current contracts to special mining permits, in a move that could help cement a $3.9 billion deal with Freeport McMoran. Freeport last month signed a heads of agreement to sell to the government a majority stake in its local unit Freeport Indonesia, which operates the world's second-biggest copper mine, Grasberg in Papua. 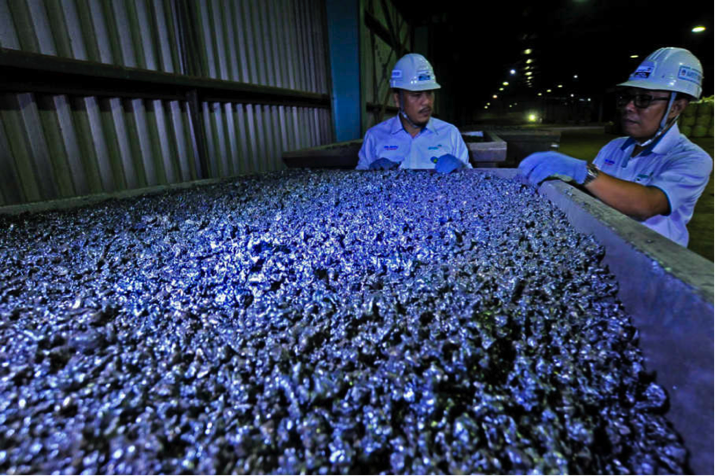 Indonesia is seeking to gain more control over its mineral wealth, but the Arizona-based company has said it wants some guarantee on fiscal terms before signing off on the complex sale. The new rules set a corporate tax rate of 25 percent, in line with the country's current rate. Miners will also pay a 4 percent levy on net profit to central government and a 6 percent levy to local government. These rates, along with other obligations including royalties and land taxes, will not change during the duration of the permit. The regulation, made public on Wednesday (08/08), took effect from Aug. 2 and was intended to "provide legal certainty" for holders of special mining permits, President Joko "Jokowi" Widodo's office said in a statement. Under its current contract signed in 1991, Freeport Indonesia pays corporate tax at 35 percent, but no levies to central or local authorities. Freeport Indonesia spokesman Riza Pratama said the company would review the new regulations. Freeport and the government have had a long-running dispute on Freeport's operation in Grasberg. Jokowi called the heads of agreement "a leap forward" last month and stressed that the country must get a larger amount of income from tax, royalties and dividend payments from Freeport Indonesia. Under the new ownership structure, Indonesian state-owned firm Inalum, will own 51 percent of Grasberg. During the negotiation, Freeport Indonesia operated under a temporary special mining permit. Its current permit expires at the end of August.